The federal government may be partially shut down, but for most UO investigators, it’s still research as usual. That was the main takeaway from a message that went out to UO researchers and staff members on Thursday as the partial federal shutdown entered its fourth week. “In general, sponsored project operations are continuing apace, but future negative consequences remain a possibility,” the memo reads. Although some UO researchers, particularly those with National Science Foundation grants, are seeing minor negative consequences already, research administrators are advising researchers to continue working on existing projects, following plans and guidelines and applying for new awards. 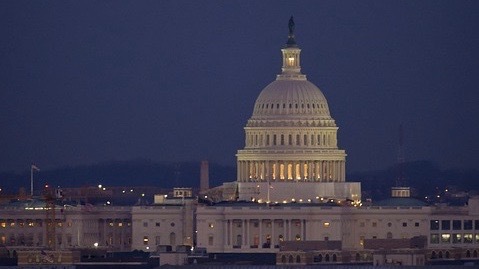 Some federal agencies such as the National Institutes of Health and the Department of Education have received their 2019 fiscal year appropriation and therefore are functioning as usual. Others such as the NSF did not and are currently shut down. Even so, the NSF and most other shuttered agency proposal submission systems remain operational. UO researchers applying for grants are advised to continue preparing and submitting their proposals by the deadline, unless informed otherwise. The NSF has posted guidance about the shutdown for proposers and grantees.